Photo: The delicate process of teasing out lotus threads. Some of the lake’s villages specialise in various handicraft and cottage industries and the workshops form regular stops on most Inle Lake itineraries. Some are indigenous to the lake and others more contrived, but they are on the whole at least traditionally Burmese -- even the contrived ones create work and income for the villagers. 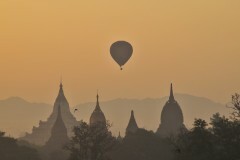 and base yourself in New Bagan. Stops at the villages provide some structure for your tour, and give you a chance to get out of the boat from time to time and stretch your legs in between gaping at the beautiful floating gardens and stilted houses. Most have souvenir stands or even occasionally full-on air-con showrooms, but they are never really a hard sell. Bear in mind that if you stopped at all of them it’d take all day, so which ones are actually interesting enough to stop for? Of course, the bosses rake in the cash and the cheroot workers, for example, are paid a relative pittance -- but that doesn’t only happen in Inle Lake. These tourist sites do provide employment plus many would go on, whether tourists visited or not. The most controversial workshops are the ones employing Padaung or the so-called ‘long-neck Karen’. 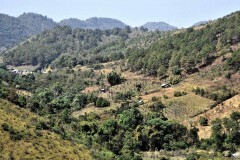 The women we’ve talked to, at least, say they are happier to be here than stuck in their remote home villages scraping together a monotonous living with no electricity or running water. The Padaung are not native to Inle. They originated from Kayah State just to the south. On a recent visit, the women were fascinated — and taking photos on their own phones — of an Englishwoman in our group who had a pierced tongue. "That must be really uncomfortable — doesn’t it hurt?" asked the Padaung women with several kilograms of brass around their necks. 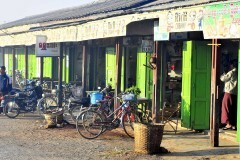 They sell various trinkets, jewellery and fabrics, and of course the deal is that you make a purchase and take a photo. Some speak basic English, or if you have a guide they can translate, so communication needn’t be a problem. Several workshops/handicraft stores are located in the area between Ywama and the start of the In ... please log in to read the rest of this story. A selection of some of our favourite places to stay in Inle Lake. 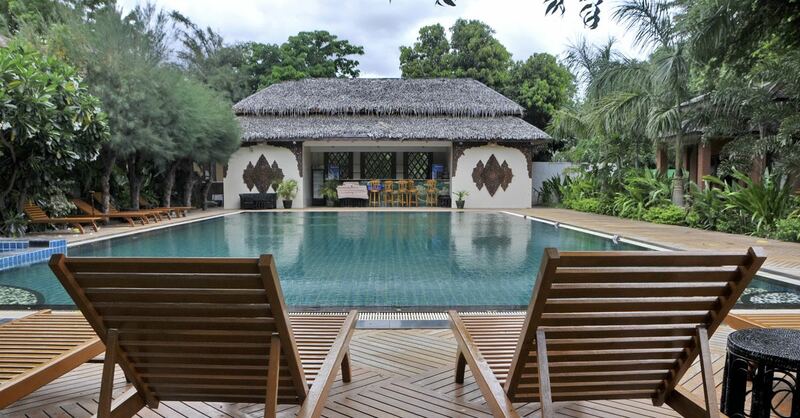 Browse our independent reviews of places to stay in and around Inle Lake. 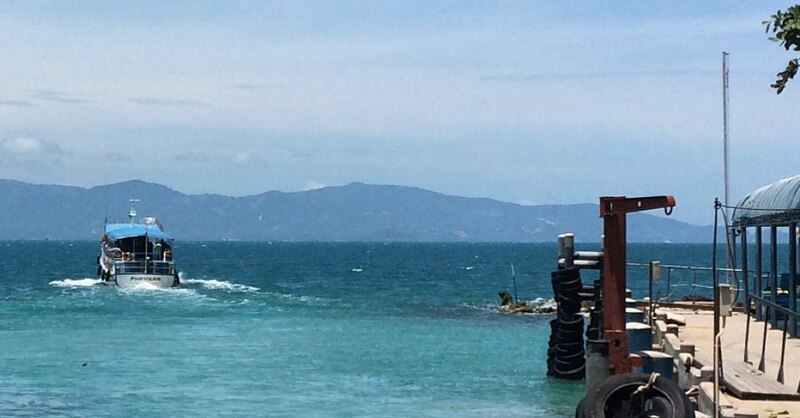 Read up on where to eat on Inle Lake. 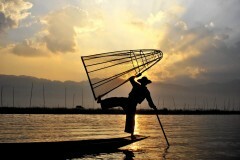 Check out our listings of things to do in and around Inle Lake. 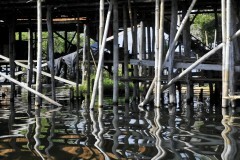 Read up on how to get to Inle Lake. Planning on riding a scooter in Inle Lake? Please read this. 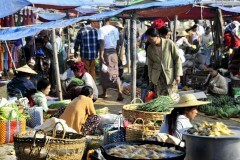 See below for more sights and activities in Inle Lake that are listed on Travelfish.org.